MLC was awesome this month. This is a meeting with the leadership of the mission that we have once a month. It is always fun and inspiring. We learn a lot from these missionaries as we council together. We included the District Leaders this month, so we had a larger group than normal. It gets a little overwhelming at times to plan lunches for all these meetings. This time I served Lasagna, corn, rolls, salad and cookies for dessert. I am so thankful for Costco and my dear friends in my ward who helped cook the Lasagna! The missionaries are always so appreciative and helpful with set up and clean up. The office Elders usually come to the mission home before our meetings and help me transport everything down to the church. The Assistants and office Elders always get the tables, chairs and table cloths set up and anything else that is needed for the meetings. They jump right in and are so helpful. Somehow things run smoothly and each meeting is successful. I could never do this alone, I know this is The Lord's work. It is miraculous to me how he blesses and guides us. I love the unique personality of each of our missionaries. They have many different talents and abilities. The love we feel for them was so instant and unconditional. It is a beautiful gift I know The Lord has given us. I love watching them grow as they are stretched and do hard things. They face rejection everyday but then there are those miraculous moments when they see lives changed that make it all worth it. 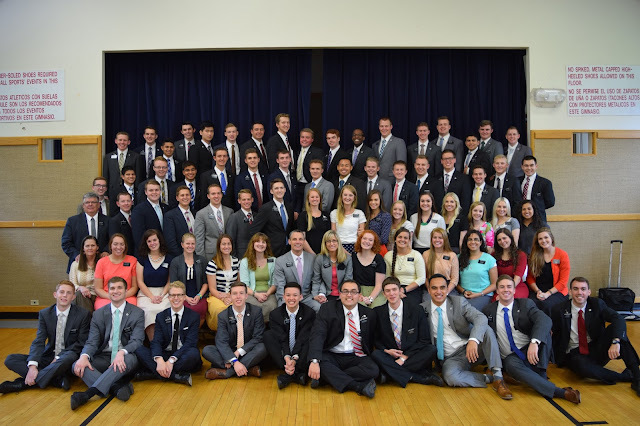 They are amazing and their love for The Savior is what motivates them to sacrifice all at this time to serve. We are really excited about the new trainers for the upcoming Transfers next week. 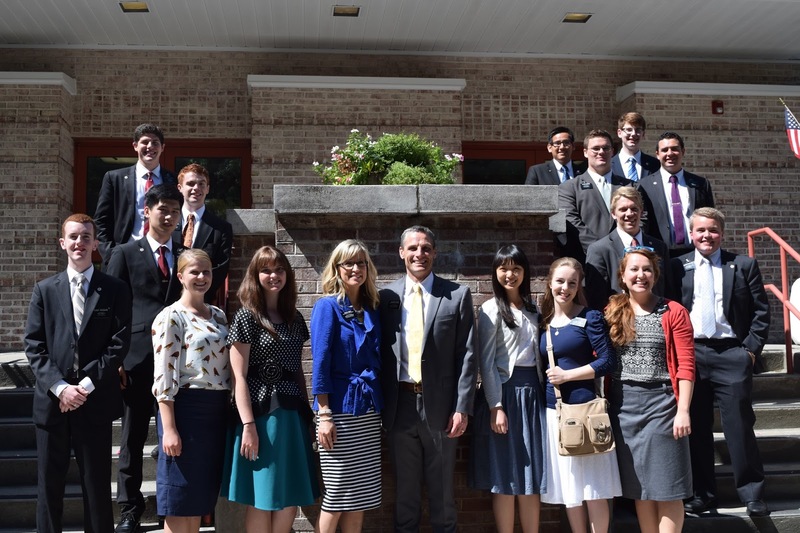 Each of these missionaries is consecrated, obedient and hard working. They will really bless the lives of their new trainees as they Lift, Inspire, Encourage and Bless their new companions. "A missionaries first companion has a profound, lasting influence on the development of the missionary's attitudes, habits, and ability to fulfill his or her purpose." I'm grateful to Sister Susan Tucker who trained me as a new missionary in Hawaii 23 years ago! She was a hard worker and a great example to me. 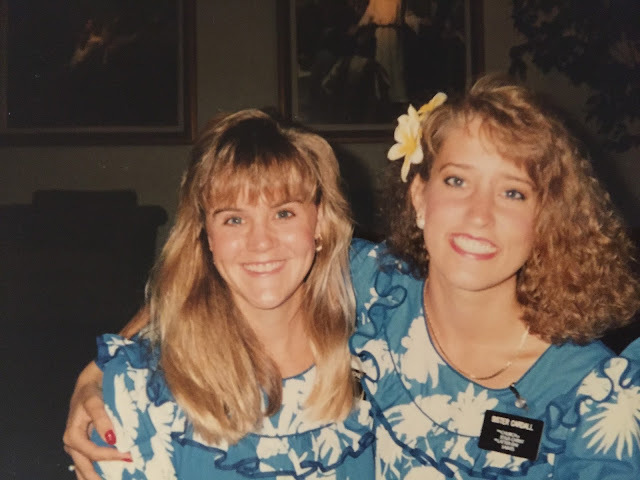 She taught me what a consecrated obedient missionary was by her example. I loved my mission. It still blesses my life to this day. We taught Margaret and Bill Perez together in Kahuku HI. Margaret was suffering from Emphysema. She joined the church at 65 years of age. Bill was baptized 6 months later at age 71. I loved them so much. It was such a treat to attend the Laie Temple with them where they were sealed for time and all eternity 3 days before I completed my mission. Margaret passed away less than 2 years later.